If you’re searching for the best flowers for full sun then see our list of heat tolerant flowers. 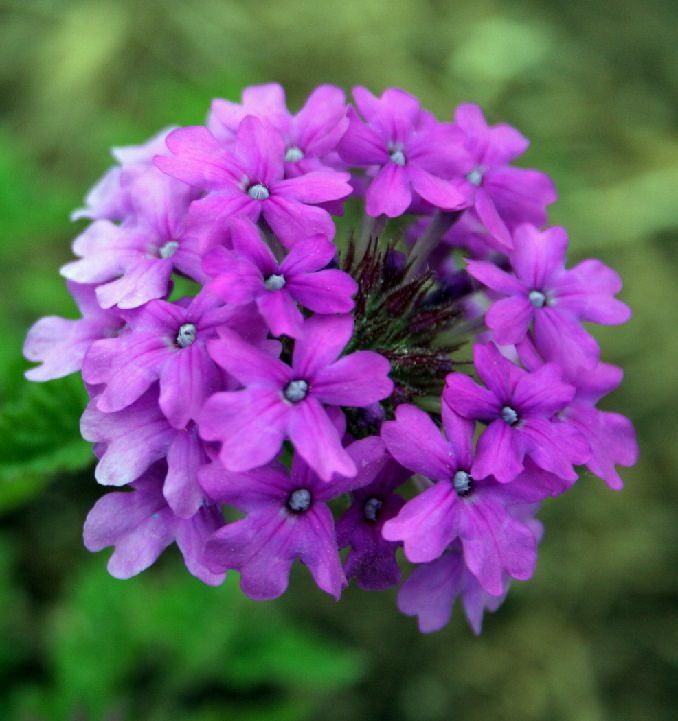 Beautiful pentas flowers attract pollinators like bees, hummingbirds, and sunbirds due to the nectar. 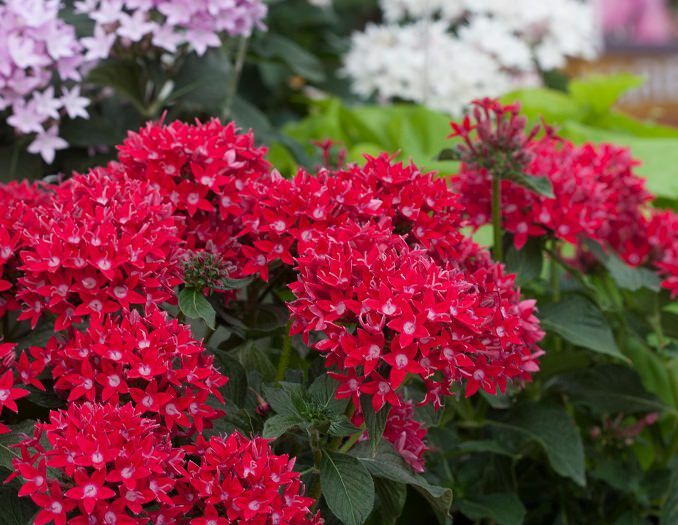 Pentas is a tough heat tolerant plant that you can grow in containers. This tropical flower can be grown in USDA Zones 9-11 as perennial, below these zones grow it as an annual. Lantana is a common tropical flower that blooms year-round in bright colors like red, yellow, orange, white or pink. It thrives in neglect and heat, it is kind of an afternoon sun plant, the more sun the better. Growing lantana is only possible as an annual plant in mild climates. 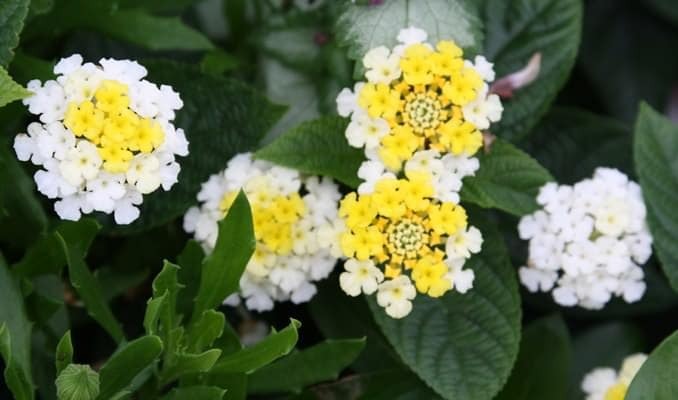 Learn more about lantana here. 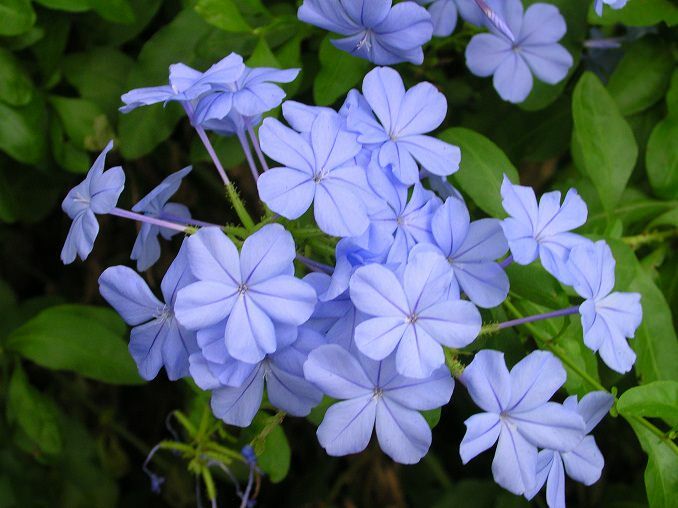 Plumbago is a beautiful vine-like African native shrub that thrives in minimal care in subtropical or tropical heat. Its sky blue flowers appear almost year long in right climate. For growing plumbago outside you have to live in USDA Zone 9-11, in cooler zones you’ll need to protect it in winters. The spectacular display of large and fragrant pure white flowers that resembles morning glory and open in the evening. You can grow this vine in a large container. 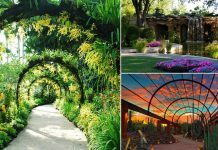 It flowers year-round in subtropics but if you live in a temperate region, grow it as annual. 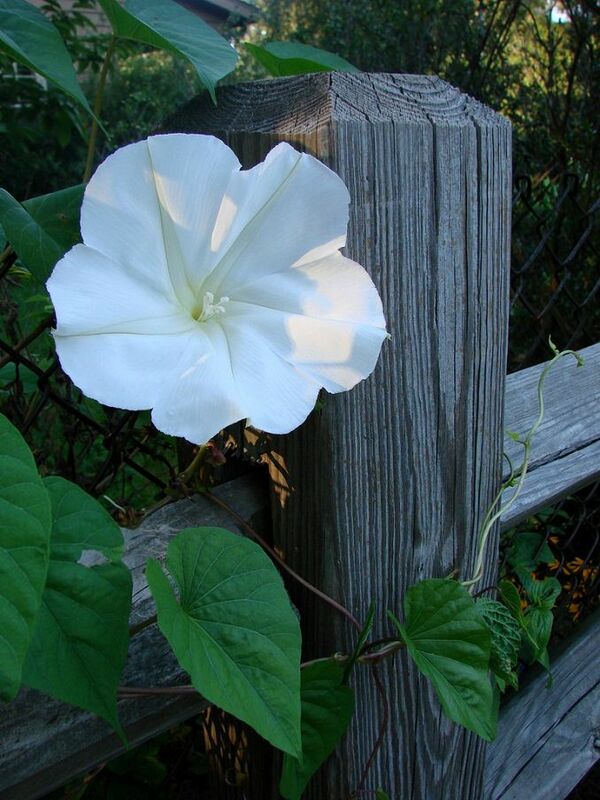 Moonflower plant can reach the height of 6-15 feet in a single season and blooms from summer to fall. 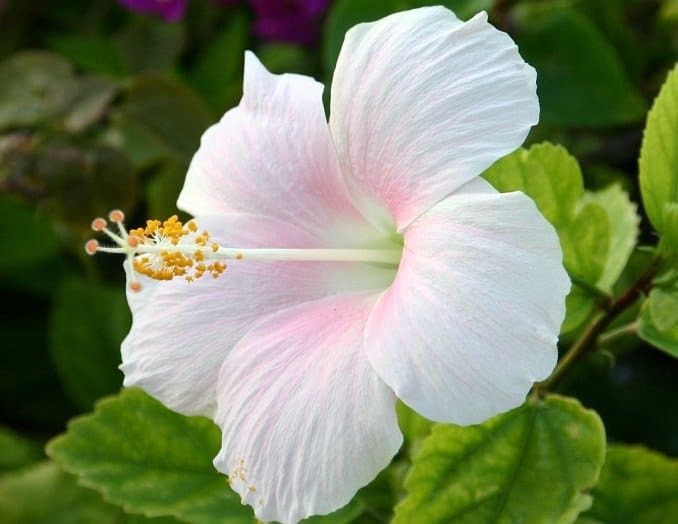 Hibiscus is one the most popular flowering shrubs due to some reasons: It is low maintenance, can be grown in pots easily, available in myriads of colors and for both temperate and tropical climates. Tropical hibiscus can easily handle the temperature above 100 F or more. 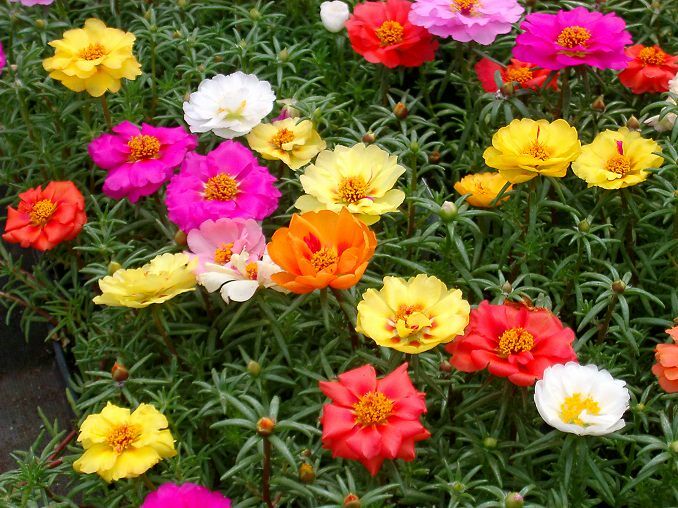 Amazing needle-like foliage and bright and colorful small flowers, the portulacas worth a place in your container garden, in hanging baskets or window boxes whether you live in tropics or in temperates. They are one of the toughest plants that never mind the rising tropical heat and drought. Portulacas are annuals everywhere except tropical zones. Also known as blanket flower, gaillardia is a heat resistant and drought tolerant plant belongs to the sunflower family. The blooms look so attractive and become excellent cut flowers. 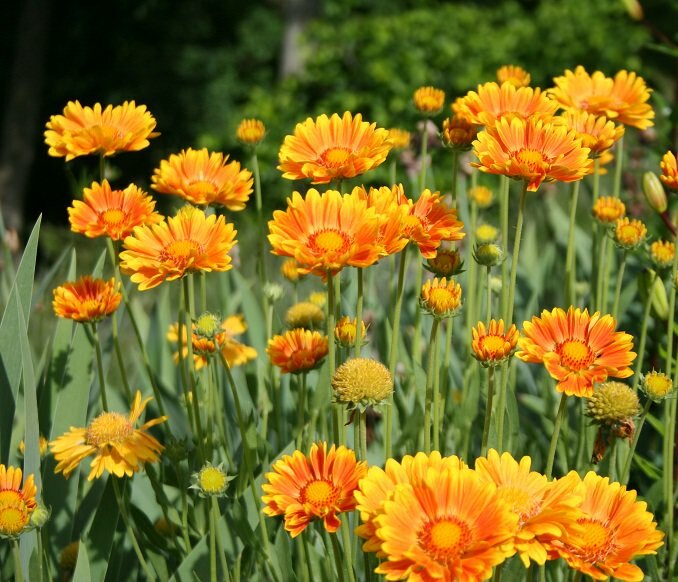 Grow blanket flower in full sun and provide afternoon shade in summer in peak tropical summer to save it. 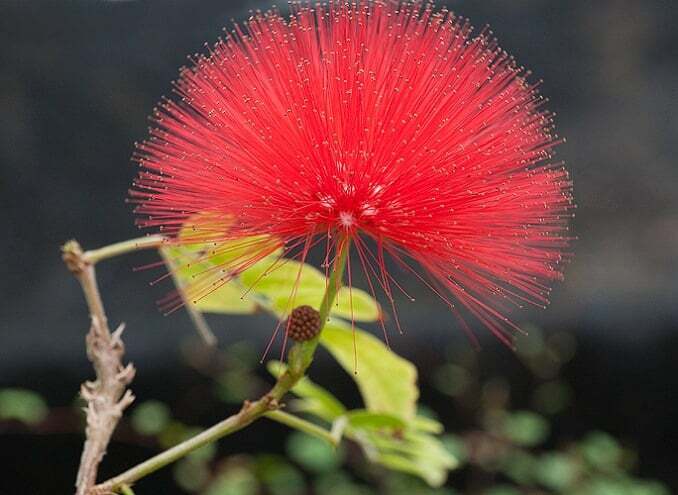 Basically, a small tree that is famous for its puffy flowers that attract wildlife, you can also grow calliandra in a large pot, especially in the colder zones, below 9 to overwinter it indoors as this magnificent plant can’t survive harsh winters. 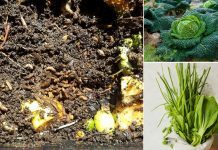 There are more than 250 species of verbenas that can be grown in a variety of climates between USDA Zones 4-11. Almost all varieties require sun to thrive and bloom prolifically. 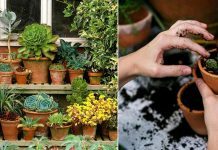 Grow verbenas in well-drained soil and provide moderate but regular watering when the soil is dry. 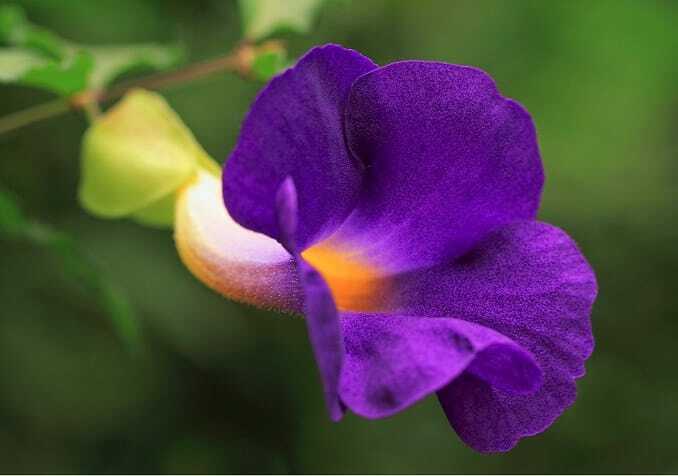 Also called bush clock vine, thunbergia erecta is a shrub that is native to Africa. If grown in a subtropical or tropical climate (USDA Zone 9-11) this plant never fails from flowering. A year round prolific bloomer thunbergia erecta comes in shades of violet, purple and yellow. 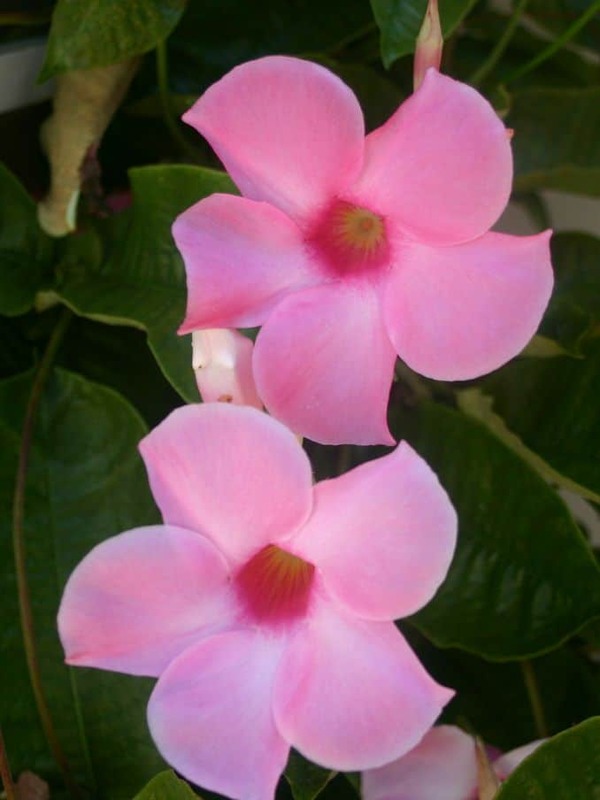 Grow Mandevilla as annual in cooler climates, it is a fast growing heat resistant tropical climber that blooms heavily, flowers are pink, white or red in color and give a tropical look to any garden. 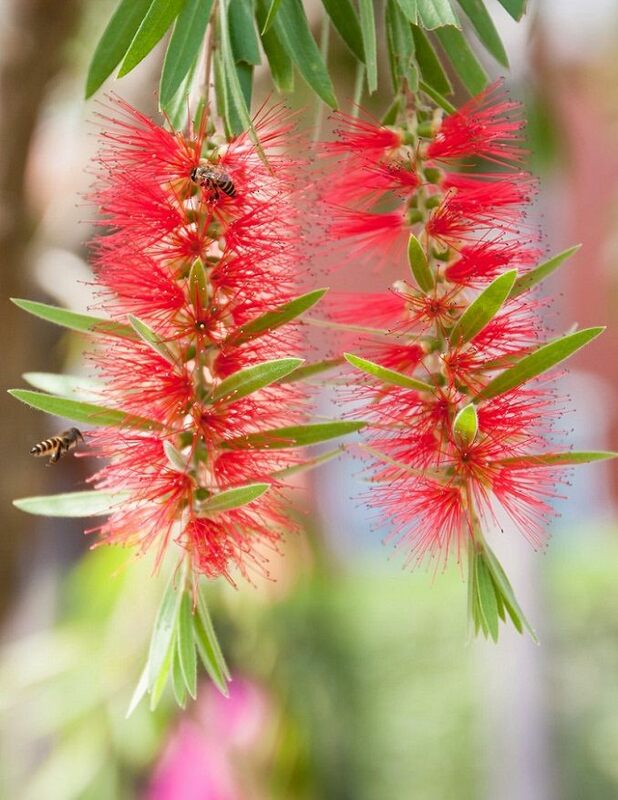 With its brush like puffy flowers that appear throughout the year, bottlebrush is without a doubt one of the best large flowering shrubs. Bottlebrush can be trained in large containers, although it requires space. If grown in a cooler zone, bring the bottle brush plant indoors before the first frost to overwinter it. Cannas! My favorite, and they thrive in the hot desert southwest, with very little work. Yet, I rarely see them for sale with other plants. In fact, here in Las Cruces, NM, I’ve seen a lot of “hostas” in the stores, which is unimaginable to me that they would survive here. When I libed in Houston I had TONS of the light green leaded begonias. Of course i had them in full shade, but they really thrived in their pots. Red, pink and white. Unfortunately, someone came up the apartment stairs and stole them all!!!! Most of these plants are weeds here in Australia’s harsh climate. Can’t we have a website with Australian HEAT tolerant plants. Y is it always American plants that pop up? I find the Bottlebrush plant looks like it is having a bad hair day. We live on a brackish bayou on GuCoast MS, and bottlebrush thrives here, even when we flood with the saltwater….we do prune back after blooms…the only thing that did kill off 1 was a very hard freak freeze. ^ months of coastal heat, floods and storms have not killed off this beautiful shrub.